Some of the best young athletes battled it at the recent European Armwrestling Championship in Katowice, Poland 2017. 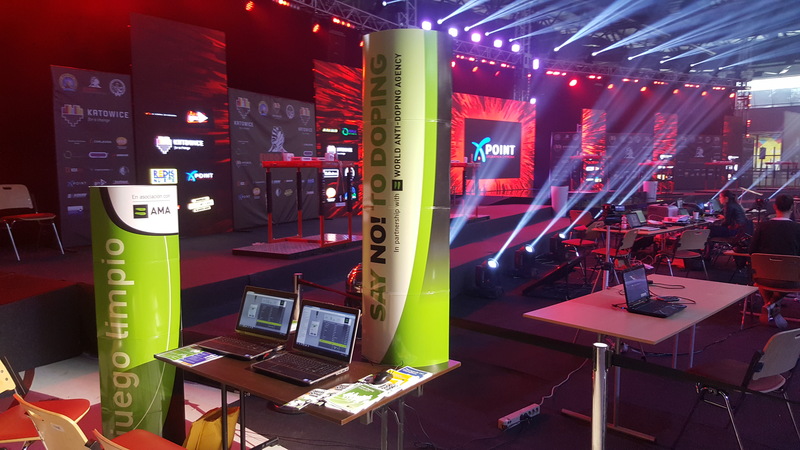 And while the competition was fierce, many of the athletes spared some time at the newly implemented WAF anti-doping outreach stand at the event. The core of the outreach program was focused on the WADA Play True Quiz. Each participant was asked to answer 10 questions and received a personal score as well as detailed explanations of the correct answers.WAF Outreach anti-doping program was designed to both informing athletes about their rights and responsibilities and creating a broader discussion about values, ethics and integrity. The WAF and EAF is committed to the fight against doping in sport at major youth, junior, senior and master events around the world. After the success in Poland, the next Outreach program will be in Hungary during the World Arm Wrestling Championship 2017.